I felt a slight bout of vertigo as I tentatively stepped on the swaying walkway - made of wood and rope - suspended on the forest canopy. I normally do not have any problem with heights, but I paused for a few seconds until the dizziness was gone, and I continued walking, each step making the bridge sway. 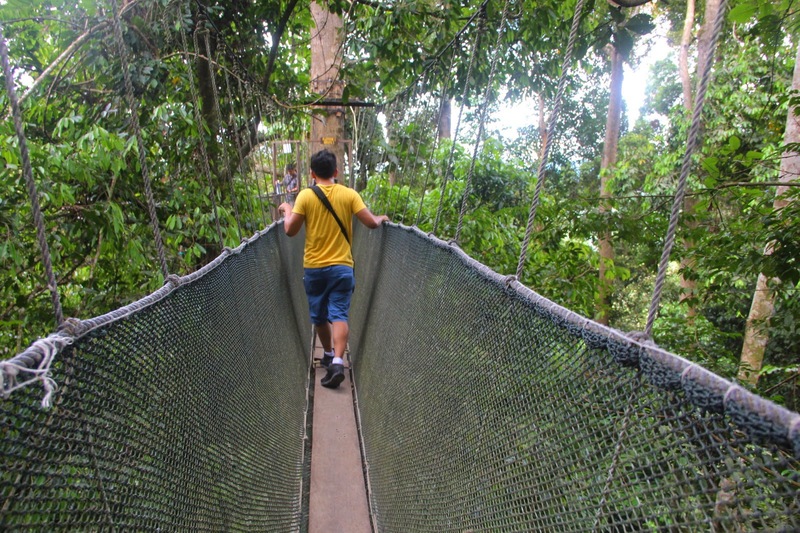 The canopy walkway, hanging about 100 feet from the ground, enables us to explore the rainforest - mostly composed of dipterocarps and fruit trees like marang and breadfruit - around us. This particular canopy walk that me and my UP friends visited this August is located in Poring Hot Spring and Nature Reserve, in the outskirts of Kinabalu Park, in Ranau town, about three hours from Kota Kinabalu, which is the capital of Sabah state of Malaysia. 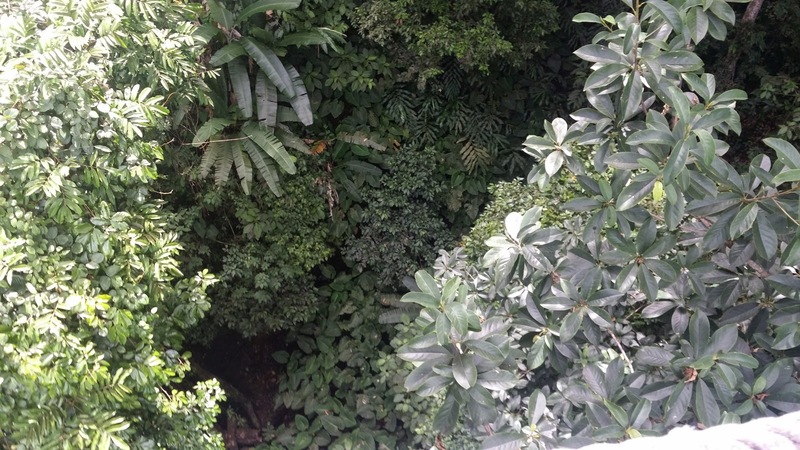 Going to the canopy walkways is about half an hour hike from the main entrance of the complex. We skipped the hot springs as it was noontime and very humid, and the wading pools too, which are full of mainland Chinese tourists. . The hike was through the forest, and along the way we passed a stream and several trails going to different parts of the park, like the bat-infested cave and the waterfalls. The trees were quite old and tall, some with trunks as wide as that of four people holding hands together. 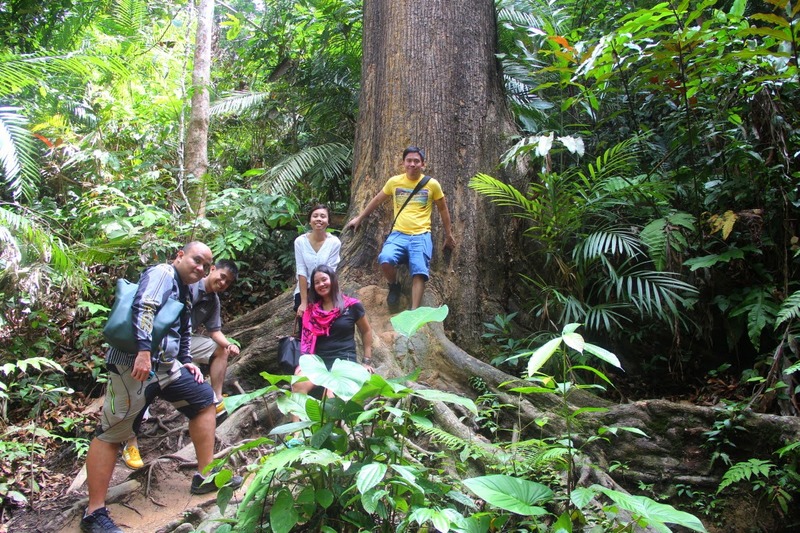 It was just me, Sigrid, James, Randy and Aroma (the same group I went with to Caramoan, Coron and Camiguin, among other places) and our local guide. She was chatty, out of duty perhaps, and she tried to point out intresting things in the forest, like, according to her, the world's smallest orchid, and the different weirdly-shaped bugs scurrying across the forest floor. The platforms that connect the walkways are built on particularly large trees, one growing on the edge a small gorge. We climbed up the ladder to the platform and stepped on the walkway one by one. 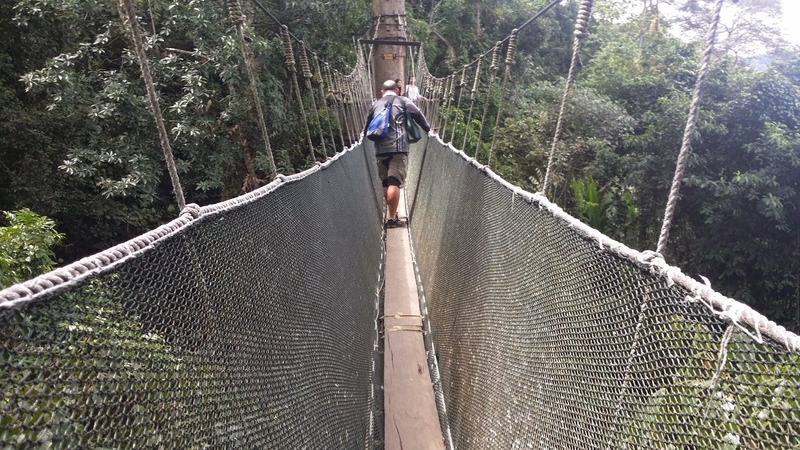 The canopy walk can only support six people at a time. I came in last as I took their pictures first. I was playing the songs of Fern Gully in my head as I stepped from the platform, wishing I can be like one of teeny-tiny characters of the movie that can move so easily in the forest. "Up on the canopy, I can see..."
The canopy walk is composed of three segments, the middle being the longest one. All in all, it measures about 250 meters (a more longer walk is closed for repairs, the guide told us). Most of the time you can't (or are too scared to look down anyway) see the forest floor, but a glimpse of what's below, like a small waterfall or the gnarly roots of trees, can be seen if you're adventurous enough to lean over and look down. The sky is overcast at this point but it felt humid and clammy. I did try to appreciate the surrounding forest, our voices being interrupted by the chirping of birds, or the distant chatter of some mainlanders behind us. We proceeded to a different trail once we got down from the last platform, to the waterfalls. 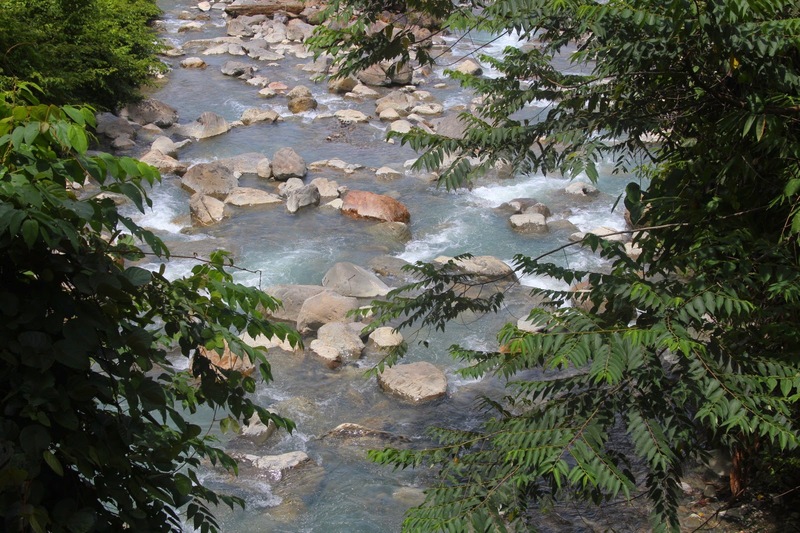 There are two in this particular section, and we chose the closest to us, called Kipungit Falls. 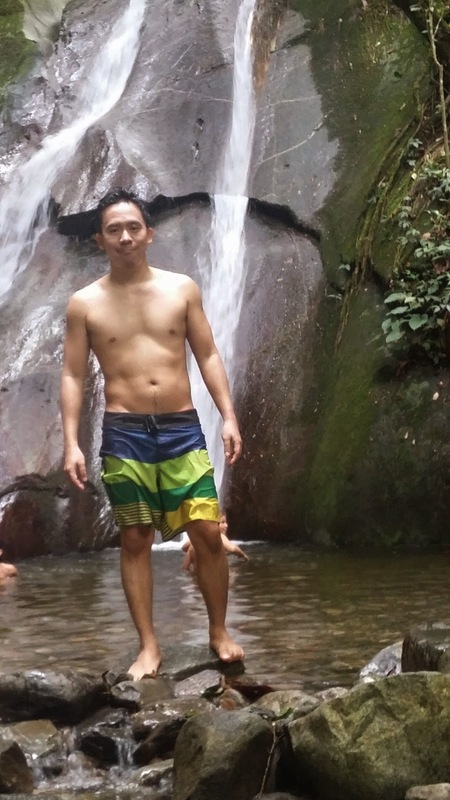 It wasn't very impressive, small compared to Katibawasan or Ditumabo Falls in Baler. Still, the cool cascading water is a welcome feature for me, as I wanted to cool off a bit. I was the only one in our group who did though. 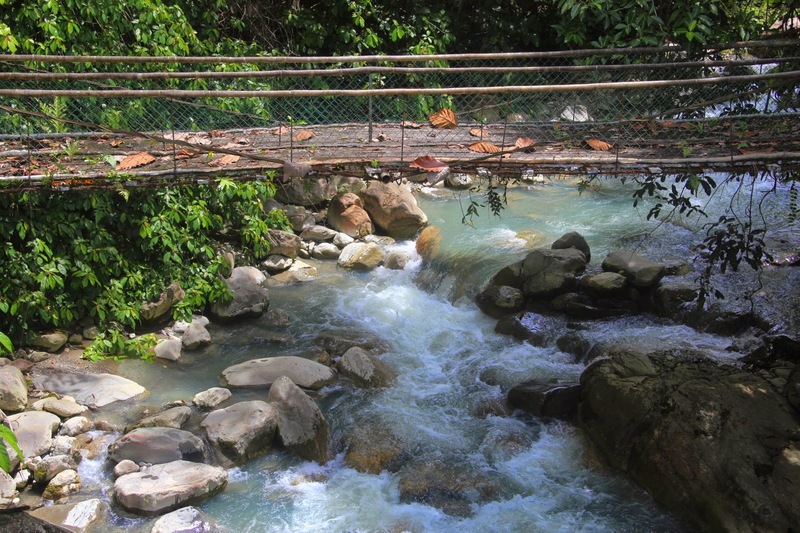 The Poring Hot Spring and Nature Reserve is located in the town of Ranau, in Sabah, Malaysia. You may take a bus from Kota Kinabalu to Ranau (cost is 15RM), then another one to Poring (6RM). A taxi from KK will cost approximately 300 RM. You may also book the guided tour from your hostel, for about 190 RM per person. This includes lunch, and a stop at the lookout point to see Mt. Kinabalu. You have to pay a camera fee of 5 RM before you enter the canopy walk. There are other sights that you can skip, like the butterfly farm and the tropical garden. 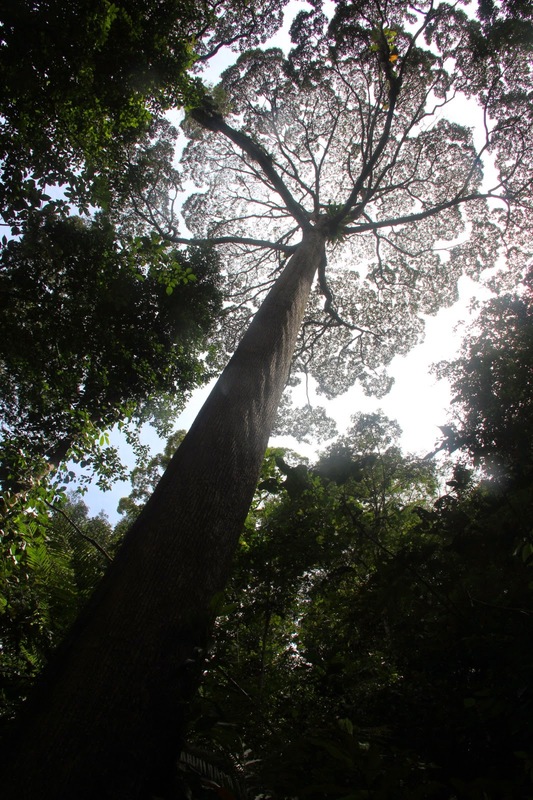 Along the way you can also see the rafflesia, the world's largest flower, if they are in bloom. You'll have to pay 40RM for the entrance fee though.